My Aunt Perry gave me a great little book, Pickles and Preserves, from a Chapel Hill author that has piqued my interest in the forgotten arts of pickling and preserving. I’ve yet to make my own strawberry preserves or yellow squash pickles but they’re on my summertime to-do list. 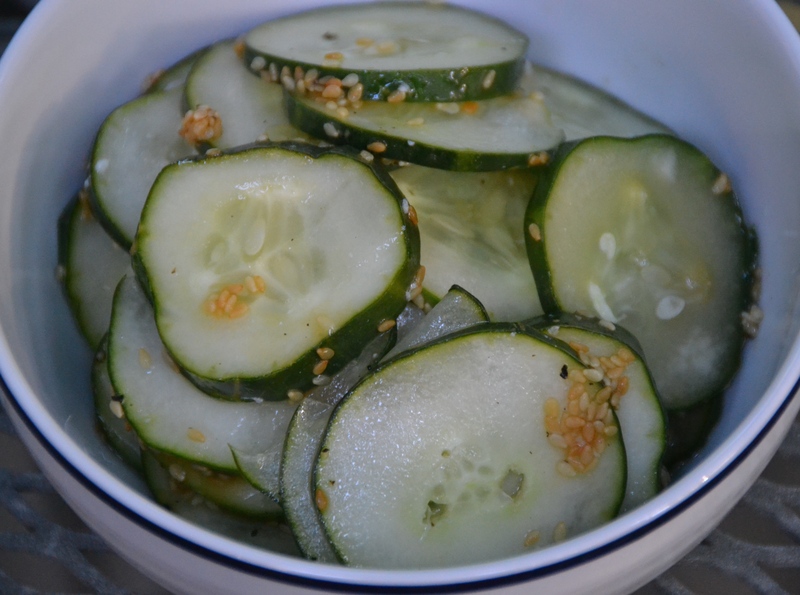 So far I’ve been sticking to the tried and true cucumber pickles like this recipe with a sesame flair. I love sesame flavor whether it is toasted seeds sprinkled on grilled corn or oil in a Thai chicken salad. These pickles are simple to throw together and will get better as they sit for a few days in your refrigerator and the brine works its magic. Serve as an appetizer, alongside a stir-fry or on your sandwiches and burgers this summer.